Who doesn’t love feeling pretty? This season, give the gift of endless luxury with beauty subscription boxes! We all know beauty emanates from within, but beauty gurus also know that high-quality beauty products yield better results. From makeup to moisturizer, what you put on your skin matters and not all products are created equal. We’ve rounded up some of our favorite beauty boxes that feature top of the line makeup and skincare products. From rich lipsticks and glamorous eyelashes to artisan bath bars and rare Korean face masks, these curated beauty gift boxes are the perfect gifts to keep you or your giftee looking as great as you feel! What You’ll Buy: Skincare fanatics of the world unite with the monthly Pearlesque box. Featuring 1-2 full-size products and 1-3 travel-size products in every box, experience a different region of the world each month through the best in revolutionary, high-quality skin care, including facial mists, masks and lotions. What You’ll Get: Perfect for those who love life, lips and lids, each month the Color Curate subscription delivers an eco-chic makeup bag printed with inspirational beauty quotes from great thinkers and writers, packed with 4 full-sized, on-trend makeup products, like lipstick, shadows and tools. What You’ll Get: Beauteque Monthly is filled with goodies for everyone looking to get flawless skin with lots of shine. Available in two subscription levels, the Mask Maven and the Beauty Box, each box delivers the best in K-beauty, including face mask sheets, beauty and skincare products every month. What You’ll Get: An affordable gift for lovers of K-beauty products, the FaceTory monthly subscription box is available in 2 subscription levels, the FOUR-ever Fresh Kit and the SEVEN Lux Box. Curated by sheet mask junkies, each month’s box delivers 4 or 7 high-quality and innovative Korean sheet masks. 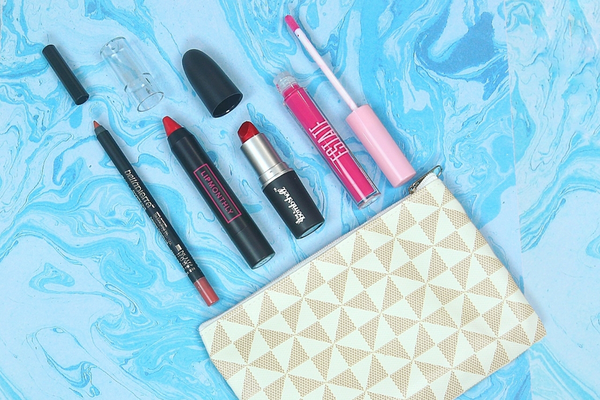 What You’ll Get: The LipMonthly Box is a fun makeup bag to help everyone show off their perfect pouts. Featuring 4-5 full-sized smile-worthy products each month, unbox a bit of everything, including lipstick, gloss, balms, liners, scrubs, pencils and crayons. What You’ll Get: Wake refreshed and sparkly eyed each morning with the Green Spa Box. Delivering 5 cruelty-free travel-sized items for skin and body at an unbeatable price, this box is a great beauty gifts idea, perfect to give an energy boost while exploring new products and finding new favorites. What You’ll Get: Breathe in the relaxation and live an inspired life with the Bombay & Cedar box that features 2 of the company’s essential oils in each box. Along with 6-7 full-size luxury products like diffusers, home goods and snacks, every box contains plenty to spark the spirit. 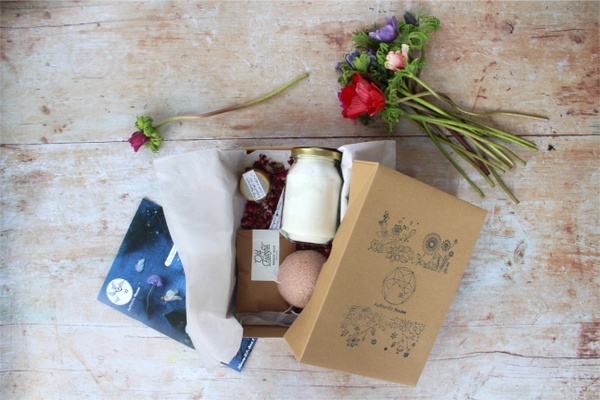 What You’ll Get: For those looking for conscious beauty products and healthy snacks, the BareTerre subscription hits the spot. 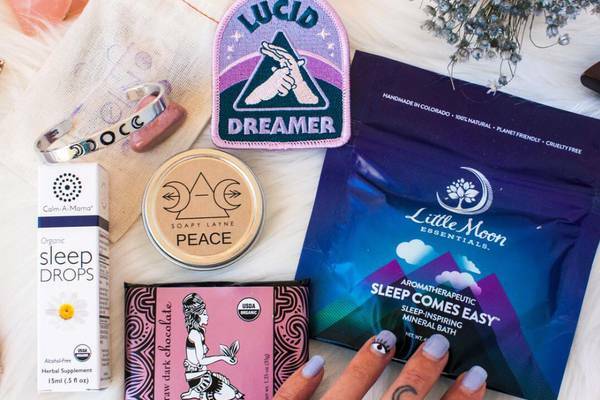 Available in 2 subscription levels, The Snack Attack Box send 5-10 vegan treats and The Beauty Bare Box delivers 4-6 sample and full-sized all-natural, fragrance and cruelty-free beauty items. What You’ll Get: My Reward Box is for anyone looking to reward their skin with only the best. 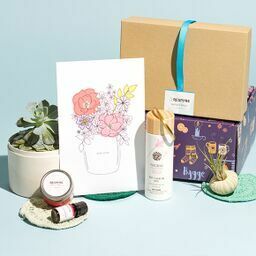 Featuring fun monthly themes, the regular box includes 5-6 full-size items and the mini box comes with 3-4 full-sized items, including high-quality makeup, face masks and artisanal body care products. What You’ll Get: Complete any look from head to beautifully designed toe (and finger) nails with the Fearless Nail Art subscription. The Nailed It Box sends all the gear needed to create some fierce nail art, from stamping plates and holo powders to glitter and decals. What You’ll Get: Living the vegan lifestyle just got even easier with the TokiBox. Delivering a curated selection of 6 full-sized or sample-sized beauty, health and lifestyle products, including skincare, wellness items, treats and beverages, this box makes a great gift for the #veganandproud crowd. What You’ll Get: The Just Because Box is one of the best beauty gift boxes to help someone destress, relax and unwind. Featuring 3-4 full-sized artisanally crafted products for body and bath, it’s the perfect way to loosen up, let go and take some much-needed me time. Looking for more gifts for the beauty guru? Check out our full collection of beauty subscription boxes!